PowerLine's first generation boasted 5x the durability of other cables, but PowerLine II takes it to the next level. It tolerates being bent over 12000 times and lasts an enormous 12x longer than other cables. iPhone X / 8 / 8 Plus / 7 / 7 Plus / 6 / 6 Plus / 5s, iPad Pro / Air / Air 2, iPad mini / mini 2 / mini 3 / mini 4, iPad (4th generation), iPod nano (7th generation) and iPod touch (5th generation). Strength In Numbers: Extreme reinforcement ensures internal wiring is protected to keep phones charging-able to support over 175 lb (80kg). 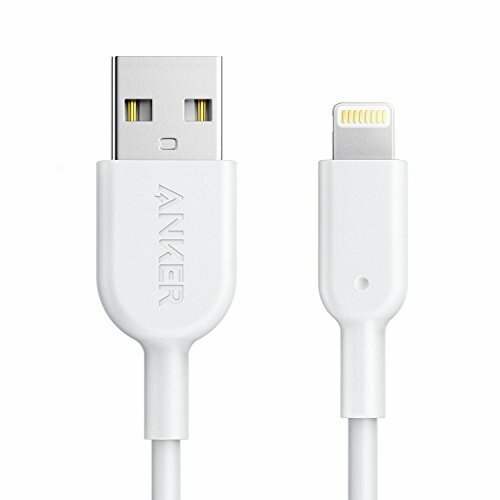 What You Get: Anker PowerLine II (3ft including both ends), a hassle-free lifetime warranty and friendly customer service.